Current orchestrations: piano, bass, guitar/banjo, drums, all versatile. Additional/new orchestrations TBD. The committee responded to this sweet and uplifting look at a true story and battleground issue today. A topic that might appear thorny in lesser hands is heartwarming and accessible for theatres of all sizes, with all types of audiences and demographics. Intiman Theatre commissioned Stu for Silverton and staged the show in 2013 as part of their new works development program, Start Up Stagings. The production was attended by approximately 5,000 people and called “genially groundbreaking,” “vivaciously clever,” “warmly humorous,” “very moving,” and even “downright wholesome” by The Seattle Times, which declared Stu for Silverton one of the best new musicals of the year. Stu for Silverton is a good old-fashioned American musical comedy, as accessible as The Music Man, that happens to feature a transgender protagonist. Stu for Silverton is set in Silverton, Oregon, an idyllic small town that sits along Silver Creek and boasts Norman Rockwell murals, brick-paved streets and almost 30 churches for fewer than 10,000 residents. Stu Rasmussen was born and raised in Silverton and runs the only local cinema, The Palace Theatre. He and his partner Victoria have been together for over 30 years. Act Two covers Stu’s mayoral campaign, the climax of which takes place on November 24, 2008, when the Westboro Baptist Church descended upon Silverton to protest Stu Rasmussen’s election as America’s first transgender mayor. Silvertonians of all ages and persuasions dressed up in women’s clothing and marched the protestors out of town. 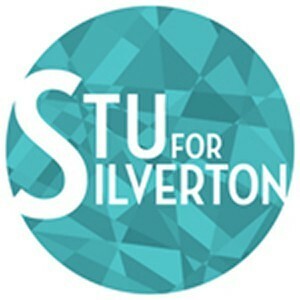 The Stu for Silverton team’s desired next step would be further development opportunities, leading to a world premiere production at a regional theater.